I am Happy to Announce 26 th Profit booking of this blog recommendations. 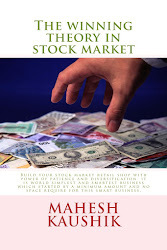 This profit book teaches my readers that good penny stocks are not bad if we invest with faith and patience. So I think this is the time to book profit. I am already booked profit on my holding of paras petrofils so I have no any share of Paras petrofils ltd.